They have made all of the three possible. The Entertainmount will hold any electronic device with a screen width of 7 inches. It was super easy to turn the backseat of our van into a movie theater. We simply attached ours in the middle of front row headrests. When we were done it was so easy to store it under our seat in the drawer. 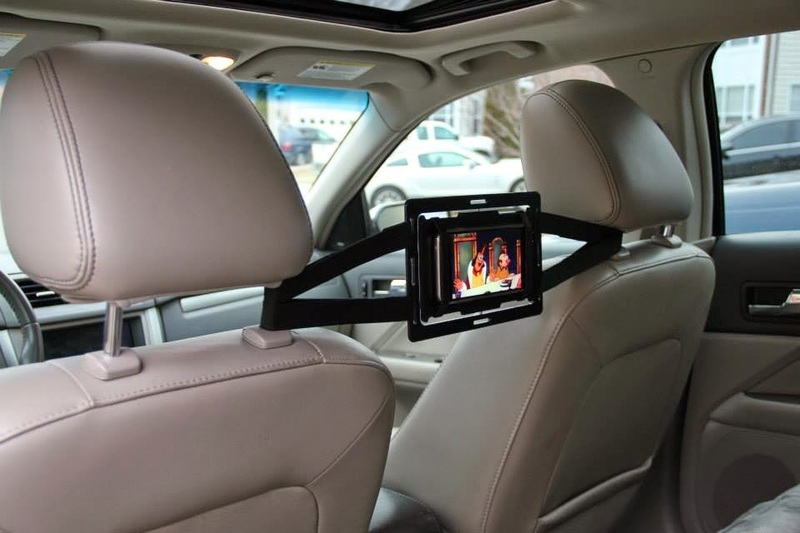 Another wonderful feature is the Entertainmount can attach to any visor, grocery cart, bicycles, and so much more!